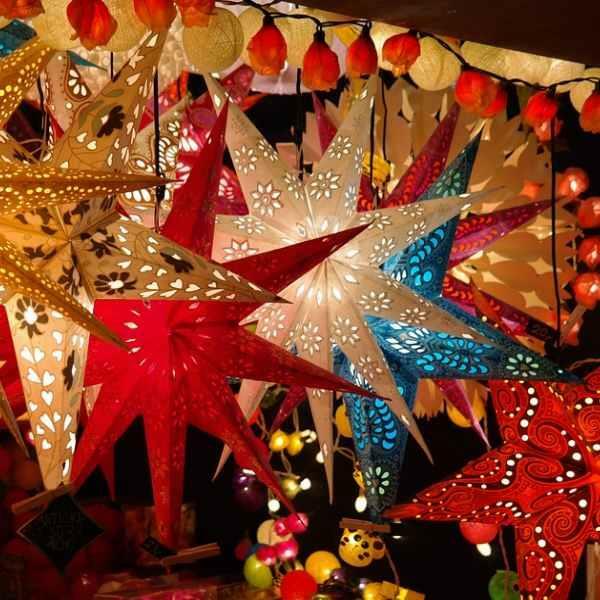 Private guided walking tour of Zagreb's Christmas Markets. 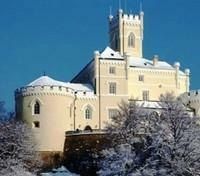 Discover the castles of the Zagreb hinterland in the winter with a private guide. 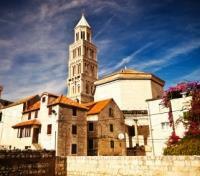 Private guided tour of Split and Dubrovnik. Explore the events of the Dubrovnik Winter Festival. Collection of premium accommodations as selected by a regional specialist. Famed for its pristine coast and summer joys, Croatia also hides Europe’s best under-the-radar Christmas destination. The country’s buzzing capital of Zagreb is a true festive wonderland during the Advent season. From dreamy lights and live music to magical decorations and Christmas market stands, the city has everything you need to enjoy the most festive time of the year. From Zagreb, explore onward to some of the country's signature sights including the aquamarine Plitvice Lakes, the ancient city walls of Dubrovnik, and the UNESCO-listed Diocletian’s Palace in Split. A welcome package with a city map and any other touristic information that we deem you may find useful will be waiting for you upon your arrival at your first hotel on your trip. Start to discover the culinary tastes of Croatia with a local delicacy of Strukli at your hotel's restaurant upon your arrival. 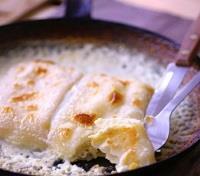 Strukli is a favorite traditional specialty from Croatian Zagorje. This house special is a traditional handmade pastry that oozes oven-baked fresh cottage cheese topped with cream. Opened in 1925 as a refuge for passengers from the Orient Express, the uber-stylish Esplanade Zagreb Hotel is an architectural gem. Located within easy reach of key attractions such as the Cathedral and the Art Pavilion, the city’s most iconic hotel combines art deco glamour with every contemporary convenience. Long-established as a haven for A-List movie stars, politicians, singers and artists, the hotels' fairy tale exterior and gracious guest accommodation make it easily the most prestigious hotel in Zagreb. The property boasts a long list of awards for hotel service, cuisine, interior design, and bartending. Traditional luxury including magnificent marble bathrooms is complimented by modern technology to make each room a haven of relaxation. The property offers a variety of dining experiences including the Zinfandel's Restaurant, Le Bistro, and the Esplanade 1925, the hotel's lounge and cocktail bar. Meet your guide for a private walking tour through the winter wonderland of Zagreb. Advent events start at glorious Tomislav square and its open-air ice rink, fun both during the day and night. The magic continues in Zrinjevac Park, where centuries-old trees are illuminated with shimmering blue lights. The fairy-tale feeling is enhanced by traditional Christmas music playing from the central pavilion and beautiful white huts selling artisan souvenirs. Following the scent of mulled wine and sausages, you will come to the Ban Jelacic Square, the heart of the city and the host of a wide variety of events, including children’s performances and concerts. 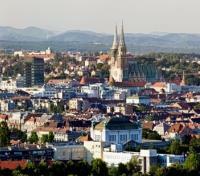 You will also explore city’s Upper Town and its medieval twin settlements, secular Gradec and ecclesiastical Kaptol. You will discover its cobblestone streets and the grand Cathedral of the Assumption of the Blessed Virgin Mary. In the center of medieval Zagreb lies St. Mark’s Square, today the center of Croatian government and parliament. It is home to the most recognizable sight of Zagreb, the beautiful St. Mark’s church with beautiful multi-colored roof and Croatian coats of arms. Continue to the Lower Town, dominated by the impressive building of the Croatian National Theatre and numerous Art Nouveau buildings dating from the 19th and 20th century. Spruced up with more Christmas decorations, Lower Town is a delightful place to spend the rest of the day. Meet your guide and driver for a private tour of Hrvatsko Zagorje, the hinterland of Zagreb. Driver through the bucolic landscape of snow-covered green slopes speckled with medieval castles and picturesque villages. Visit Trakoscan Castle, a romantic 13th century stronghold with rich historic heritage. Sitting upon a hill and facing its reflection in the lake underneath, it offers the beautiful setting of a real-life fairytale. Meander its halls and saloons, furnished with Renaissance, Baroque, Rococo and neo-classical pieces, offering insight into a bygone era. The lush region of Zagorje is not only known for castles but also for its culinary delicacies! In the small village of Desinic you'll arrive at a charming family-run tavern with a peculiar name – the Sinful Hill. Find out why during a provided lunch of typical dishes of the region, and sipping local “rakija”. After lunch, you'll return back to Zagreb. Enjoy time at leisure to explore at your own pace, or relax at your hotel. Tonight we suggest you enjoy vibrant atmosphere of Zagreb parks and squares, open-air Christmas concerts or some of the quirky festivities such as “Fooling around”. Enjoy a private transfer from Zagreb to Split. 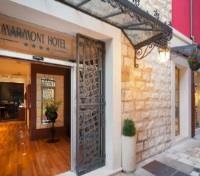 The Marmont Hote Heritage is situated in the heart of the old town of Split, only one minute away from Diocletian’s Palace, a UNESCO World Heritage Site. Located in a reconstructed building of a former shopping mall, the hotel offers a powerful mix of modern and traditional style. During the reconstruction, an additional storey was added and a 15th-century defensive wall was reconstructed as instructed by conservators which become an integral part of the interior. The hotel offers guests rooms which are comfortable and elegant, arranged on three floors, a lounge bar and an open-air terrace overlooking the rooftops of the old town. 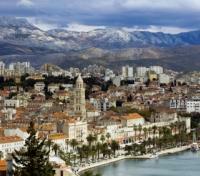 Set out on foot with your private guide as you embark on a walking tour of historic Split, a 1700-year-old town widely recognized as home to Diocletian's Palace, a UNESCO World Heritage Site. You'll visit this living monument, initiated back in 293 AD as a place for Roman emperor Diocletian to live out his final days. You'll discover the basement halls of the Palace and the unique role they played in the history of Split. Discover the Peristyle, the monumental courtyard of the Palace which gave access to the imperial apartments, Diocletian's mausoleum, and the three temples built to the west. You'll visit the Cathedral of St. Domnius (named after the patron-saint of Split), the temples of the Palace, as well as the suites of the Emperor. Afterward, explore the waterfront promenade of Split, the lively open green market and monuments not only from antiquity, but also from the Middle Ages, Renaissance and Baroque periods. When your tour concludes, feel free to enjoy some time at your leisure to immerse yourself into town’s famous Mediterranean charm, the mixture of historic layers, and the silent beats of history. 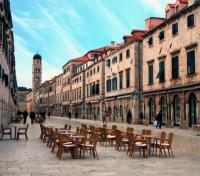 A transfer from Split to Dubrovnik with a private vehicle and driver is provided. The transfer should take approximately 3.5 hours. The Dubrovnik Palace Hotel, Conference Centre and Spa, situated a short drive from the historic Old City of Dubrovnik, is the largest tourism project in Croatia in the last thirty years- opened in 2004 by the President of Croatia. No expense has been spared to provide the very best in luxury accommodation, the finest food and state of the art hotel services to accompany your stay in Dubrovnik, the Jewel of the Adriatic. As you gaze over your own private balcony it is easy to imagine yourself as captain on the bridge of a large ship, a wide expanse of ocean stretching out in front of you to the horizon. Yet to look down is to see the immaculate grounds, elegant restaurant terraces and outdoor swimming pools. You then remember that you are not on a ship, but at the Dubrovnik Palace, a luxury hotel built by the sea, that blends into the Mediterranean landscape like a glove. 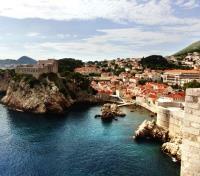 This morning meet your local guide for a private walking tour of Dubrovnik, one of the most beautiful stone-built cities in the world. An important maritime port and a one-time state, it has always been a cultural metropolis. More than a thousand-year history is reflected in every part of the town. As one of UNESCO World Heritage Sites, Dubrovnik owes its special charm to the historic monuments which testify to its rich history. The works of artists, writers and scientists of Dubrovnik have been woven into the texture of the town. While strolling with your guide down Stradun, the main street, you will stop to visit the Franciscan monastery of the “Order of Friars Minors” that preserves one of the three oldest pharmacies in Europe. You will continue down to Orlando Column and the Sponza Palace and visit the Church of St. Blasius, the patron-saint of the town. You will also discover Rector’s Palace, the magnificent structure of the dukes of Dubrovnik, and the Cathedral of the Virgin Mary with a treasury containing the originals by Tiziano and Rafaelo and many other valuable relicts. The rest of the afternoon is at your leisure to explore this stunning town on your own. Dubrovnik is full of charming cafes, boutiques and local curiosities, nestled in the intricate network of the cobblestone streets. We recommend you to take a walk along the city walls (1.5 miles around the old town), visit one of the numerous museums or take a funicular ride to the top of the Mount Srd. After your city tour be sure to spend more time on the Stradurn to skate, see a play, enjoy live music and to warm up with mulled wine. From Advent (November-January) to Carnival in February the Dubrovnik Old town stays alive in this festive time. A private transfer will be provided for you today between your hotel and Dubrovnik airport in time for your onward flight.